a little love and paint they'll look brand new. the dresser, maybe something more modern. a little paint can do to just about anything. Big news here at Our Blue Front Door, drum roll please! Congrats on the domain name purchase! :) Woot Woot! The nightstand still looks beautiful and soon the dresser will too. Have a great weekend friend! Hi! I'm your newest follower and co-host of this month's blog hop. Thanks so much for joining in on the fun :) I'm looking forward to getting you know you better! 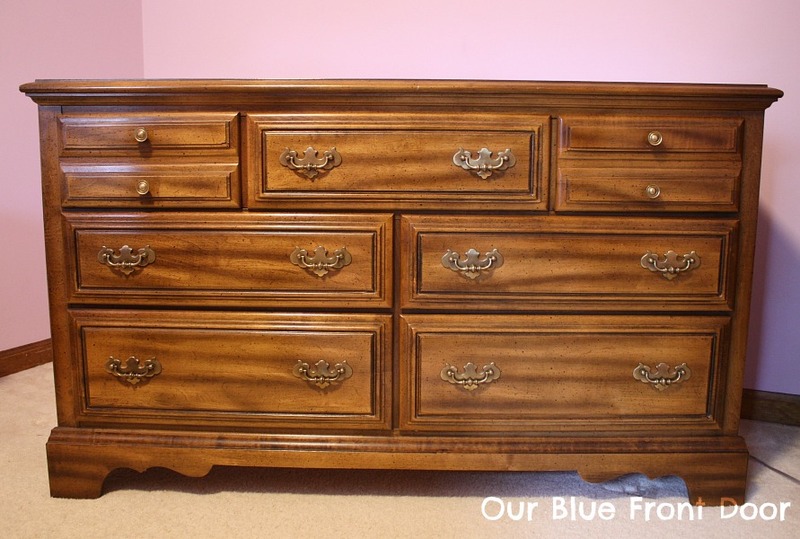 I found you through the blog hop... cant wait to see the dresser transformation! $100 is a great deal...good for you...have fun. 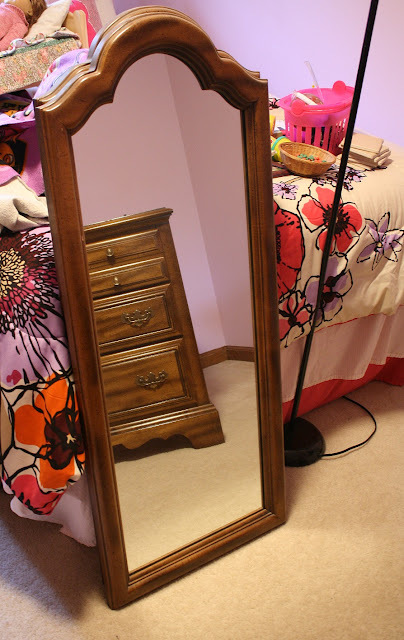 the nightstand looks great!!! I don't even know what a domain name means..but it sounds good! Lookin good!! I'm only slightly ahead of momto8 there...I would like to have my domain, but am clueless as to what that would entail to move it over. Blogger is so simple to use, I'm stressed I couldn't handle a big ol blank website. Gorgeous photos! 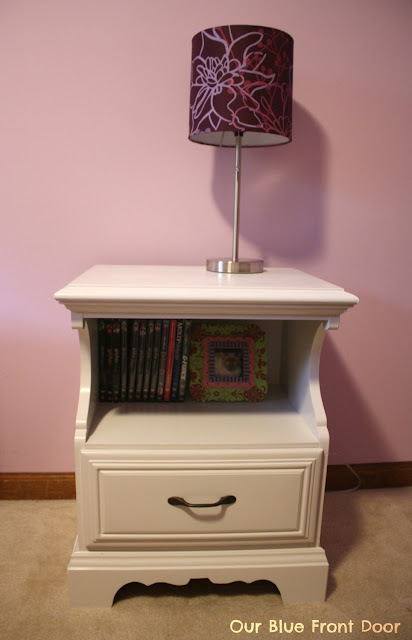 The nightstand looks beautiful! !